The NHS faces another wave of drastic cuts, privatisation and reorganisation. This is going to have a massive impact on patients and staff alike. We must fight to STOP them. 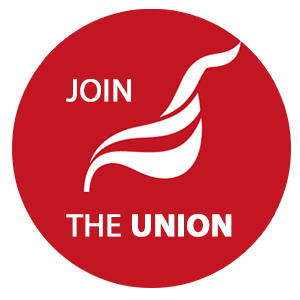 Our branch has agreed to support the national demonstration in support of the NHS on Saturday 4th March in London, and now Unite nationally is backing the march - put it in your diary! The National Health Service is at breaking point. Continued pay restraint has since the value of NHS staff salaries reduce by 14% since 2010 and there are now 25,000 nursing and 3,500 midwifery vacancies in NHS England alone. Theresa May’s demands for yet more austerity in the NHS represent a real risk to the safety of patients and the service. The Government's latest plans for Sustainability and Transformation Plans are in reality just a smokescreen for further cuts and it's latest instrument of privatisation. - Join the national demo 'It's Our NHS!' on Saturday 4 March 2017 in London - check back soon for more info. - To find out more about the Save Our NHS campaign click here.